Lock in a great price for Rosa Linde - Comfort B&B – rated 9.5 by recent guests! Great location, beautiful spacious apartment, very quiet at night. Good efficient reception and hospitality. The apartment really added to our overall Vienna experience. Except bed everything was so good. So helpful staff. Very clean room. Perfect location. We loved it! The place was easy to find; in a nice walkable neighborhood close to transit options, and it was open and spacious. 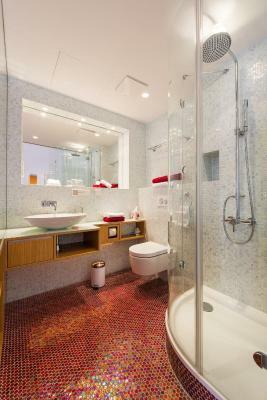 The bathroom was really nice and spacious- different from other European places we had stayed. The hosts were easy to work with and offered tips too. Close to Vienna’s public transport to get anywhere you want. Restaurants, supermarkets all close. Quiet, air-con great(really hot when we were there) bed comfortable. The room was very larhe and well furnished. The owner was very friendly. We loved staying in such a beautiful place. It was quiet and clean. Very nice design and the bed super comfortable. 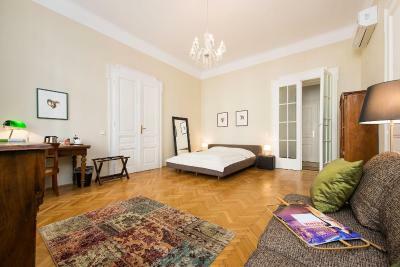 The place is close to Mariahilferstrasse and good to reach by metro. Definitely a good location and will stay there again! This was a very spacious and elegant room, more an apartment than a hotel. 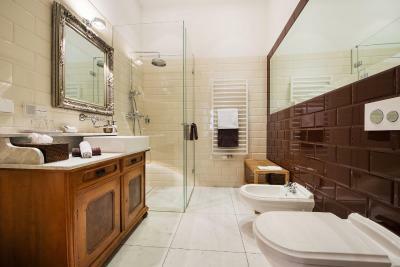 The bathroom had been recently remodeled and was beautiful, in keeping with the vintage of the building while being modern and comfortable. 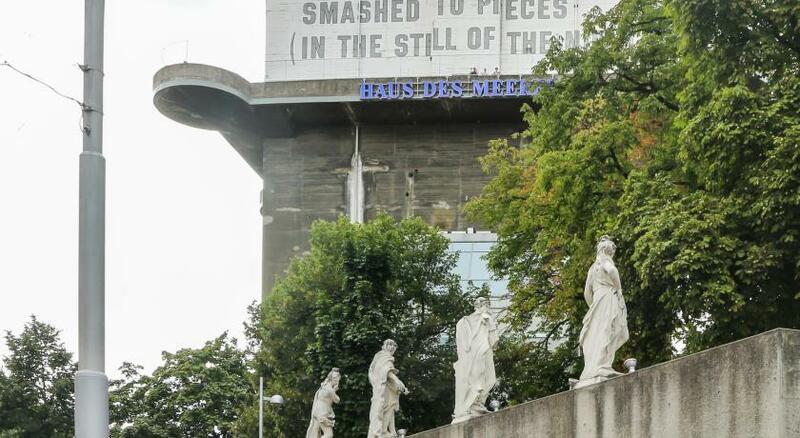 If you don't mind walking, it is a great location for visiting many of Vienna's most famous sites. Many restaurants and cafes are quite close. I would stay here again, and I would recommend it to friends. This is a spectacular rental. From the moment we checked in with a delightful greeting by our host to our uneventful departure we were enthralled. The room is bright, sunny, and beautifully appointed in a modern style. Sharp lines and stylish accents are evrywhere. Lots of local guide books in the foyer. Good location. Excellent internet. We looked forward to returning every evening after exploring the city. 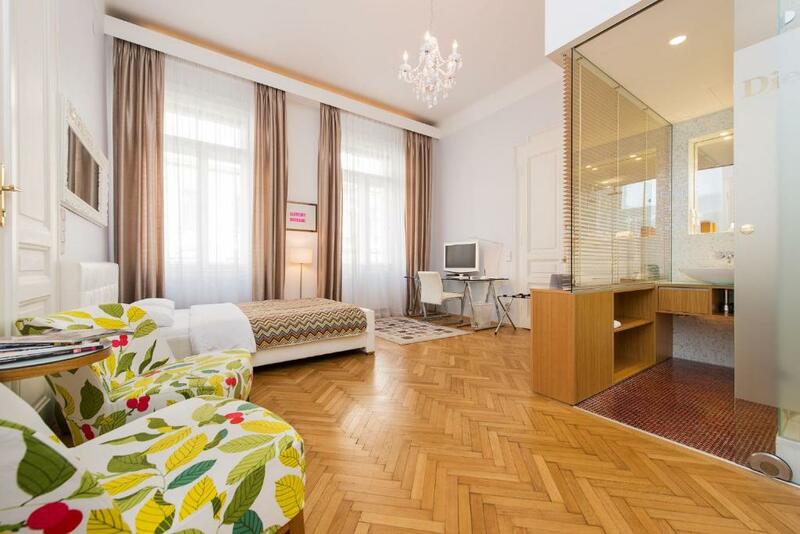 Excellent location and well priced for Vienna. Clean and modern room and super quiet since I think I was in one of only Two rooms and I never saw anyone else in the B and B. The morning I arrived I was greeted and helped with any information I needed and paid in advance. and then for the next three days I never saw anyone else. However, if you have questions or need help you can communicate via Email. 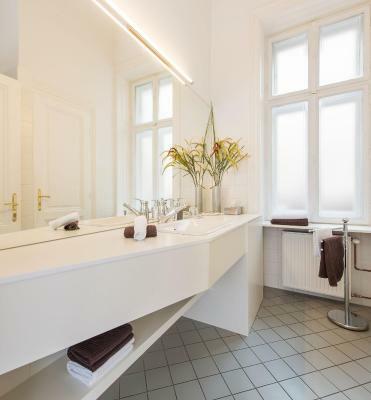 I loved my stay in Vienna and the B and B location added to a great time But if you need some hand holding in a city or someone to answer questions on the premises, then this B and B may not be best suited. 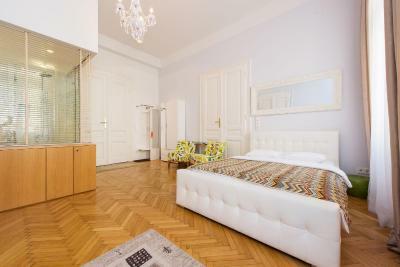 Rosa Linde - Comfort B&B is in Vienna’s vibrant 7th district. 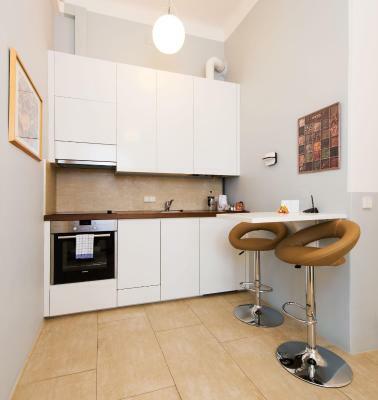 It offers accommodation units with free Wi-Fi and parquet floors. 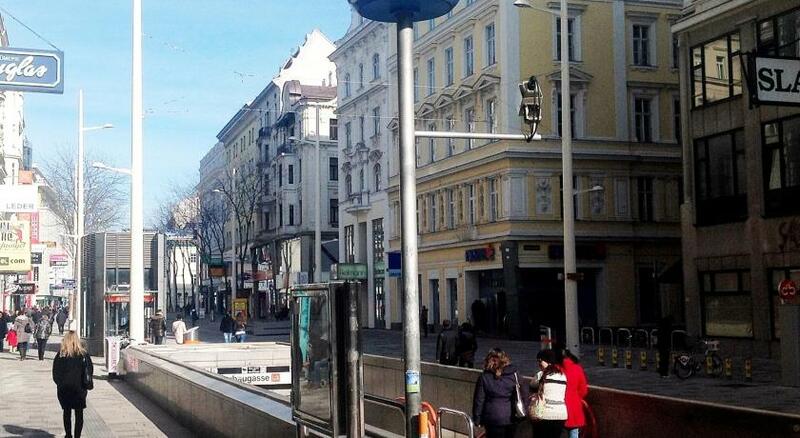 The Mariahilfer Straße Shopping Street is just a 3 minute walk away. All units come furnished with large windows, a sitting area, a flat-screen satellite TV and a bathroom with a shower, a hairdryer and amenities. The studio also features a kitchenette and a balcony. The final cleaning fee for the studio is already included in the room price. Rosa Linde - Comfort B&B has an elevator. Public parking is available nearby. The subway station Neubaugasse (line U3) is just a 5 minute walk away and provides a direct connection to the St. Stephen’s Cathedral, which is 3 stops away. Within 7 minutes by foot, the Museum Quarter can be reached. The picturesque Spittelberg Area, where guests can find bars, restaurants and cafés, is just 650 feet away. Schönbrunn Palace can be reached within 20 minutes by public transports. When would you like to stay at Rosa Linde - Comfort B&B? The spacious and stylish 'Goedel' studio offers a kitchenette, a balcony, and free Wi-Fi. 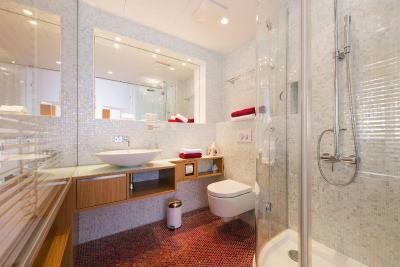 A seating area, flat-screen satellite TV and a bathroom with a shower are provided on site. The spacious and stylish 'Wittgenstein' room offers free Wi-Fi, seating area, flat-screen satellite TV and a glass bathroom with shower. The very spacious and stylish 'Freud' room offers free Wi-Fi, seating area, flat-screen satellite TV and a luxurious bathroom with shower. House Rules Rosa Linde - Comfort B&B takes special requests – add in the next step! Rosa Linde - Comfort B&amp;B accepts these cards and reserves the right to temporarily hold an amount prior to arrival. Rosa Linde - Comfort B&B accepts these cards and reserves the right to temporarily hold an amount prior to arrival. Please inform Rosa Linde - Comfort B&B of your expected arrival time in advance. You can use the Special Requests box when booking, or contact the property directly using the contact details in your confirmation. There was no kitchen facilities. I was very impressed by the size of the room and bathroom. Very quiet though I was in the center of a busy street. Would have been excellent except there was no real kitchen facilities, not even an oven. Liked everything but if I really have to find a small negative detail, it would be the availability of the reception (8am-5pm). That wasn't really a problem for us but other guests might need more contact with the staff for questions/tips, etc. The location was fantastic very close to the Museum quarter and one of the main shopping areas. The bed was so small for 2 people. It is twin size bed. You can see the person in the toilet from the bed. Can't understand the decision of not providing a small fridge in the room, especially that there is no breakfast included. 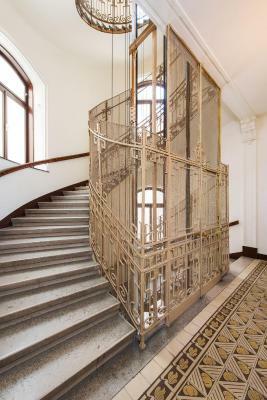 The accomodation consist in a unit on the second floor of a historical building on a small street next to Marihilferstrasse (just few metres away), divided in 3 separate units all conected to a halway (seems that used to be one very big appartment, now divided). Room is big (stayed in ap. Freud), high ceiling type, nicely decorated, with a touch of retro style. Smooth checking in (even if without personnel), very close to undergrood station (minutes away). We cannot think of anything at thus time. We enjoyed it and would stay again if we are ever back! Everything. Sensational accommodation. Hosts were wonderful. Great location. 1/2 Ubahn stops to city centre. Very hip neighbourhood.